The new prince has a name — in fact three. 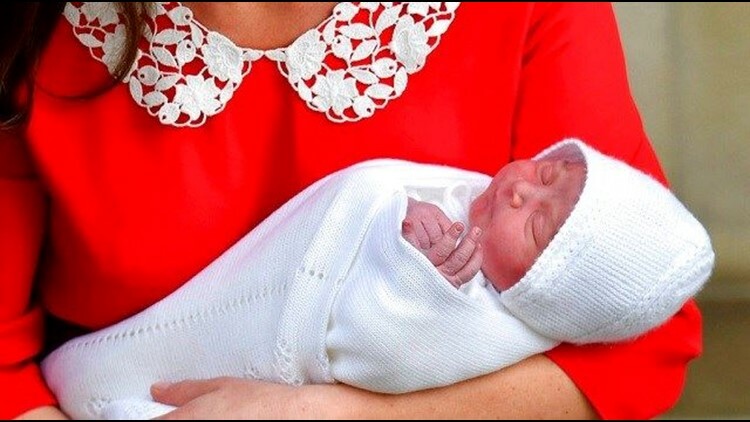 The infant son of the Duke and Duchess of Cambridge has been named Louis Arthur Charles, Kensington Palace announced Friday. LONDON (AP) — The new prince has a name — in fact three. Twitter users with personal connections to the fresh prince's names offered peals of joy. Author JK Rowling's digital publishing company, Pottermore, noted that the Weasley family in the Harry Potter books had members named Louis, Arthur and Charles. "Louis Arthur Charles, you were named after three iconic Weasleys," the company tweeted. A baby camel born at England's Blackpool Zoo on the same day as Louis has been named in his honor. A tiny, double humped Bactrian camel calf, born on Monday morning, has now been named in honor of the new Prince Louis!!" the zoo tweeted. Former One Direction star Louis Tomlinson — a noted devotee of the Adidas brand — tweeted: "Young Louis welcome to the world. I'll take you under my wing lad. The Adidas tracksuit is in the post!"